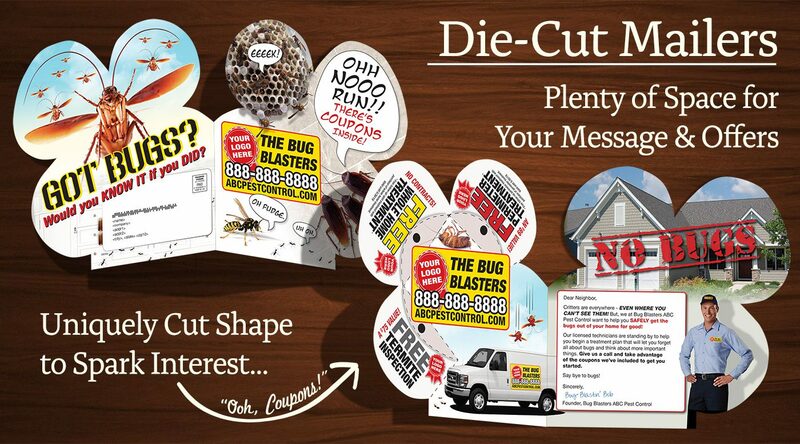 Adding a specialty shape to your mailers will assure that your message is picked up and seen. 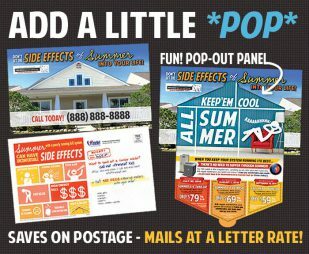 This die-cut mailer ships out in a large full window envelope so that postage cost can be kept low, yet the mailer is clearly visible to your recipients. 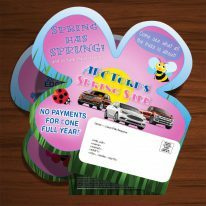 Plenty of space for your message, coupons, offers, ‘about us’ and call to action will ensure that there is something of interest for each customer. 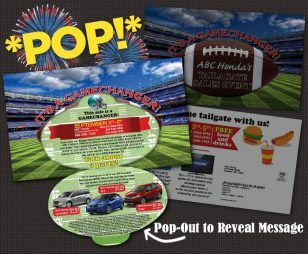 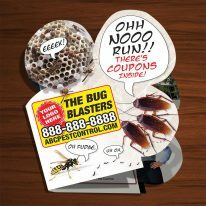 This die-cut is fully customizable with help from our creative staff, so give us a call today to discuss how to get started sending this type of mailer out to your new and existing clients – so you can watch your business traffic flow in. 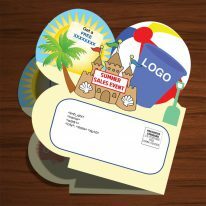 (Clicking the “Request Samples” button should open your default email client.